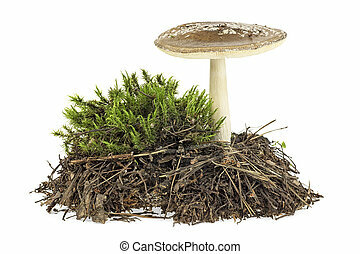 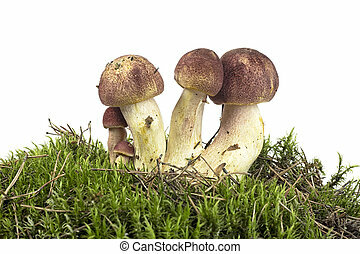 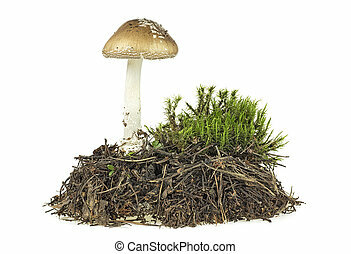 Brown mushrooms on green moss, white background. 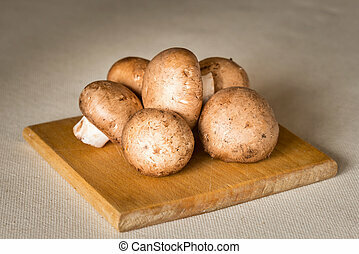 Forest mushrooms isolated on a white background. 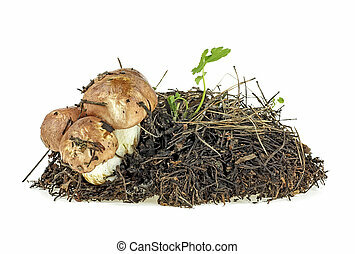 Brown mushrooms. 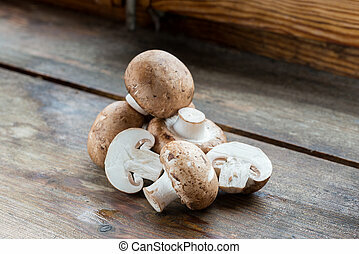 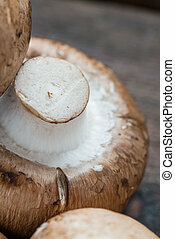 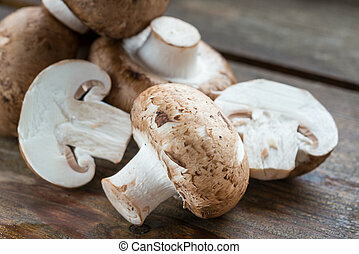 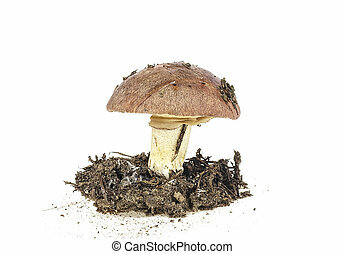 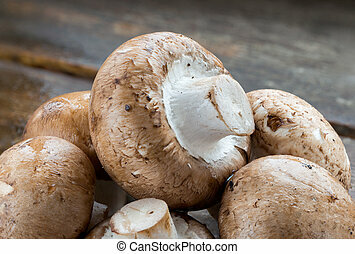 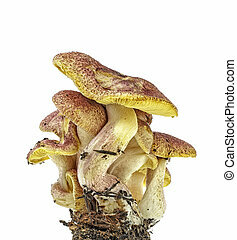 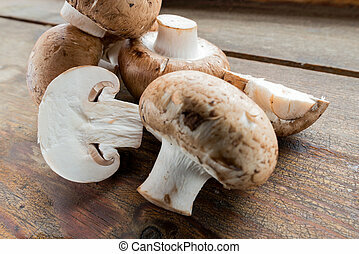 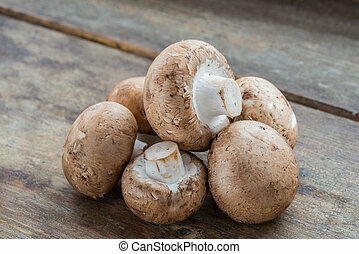 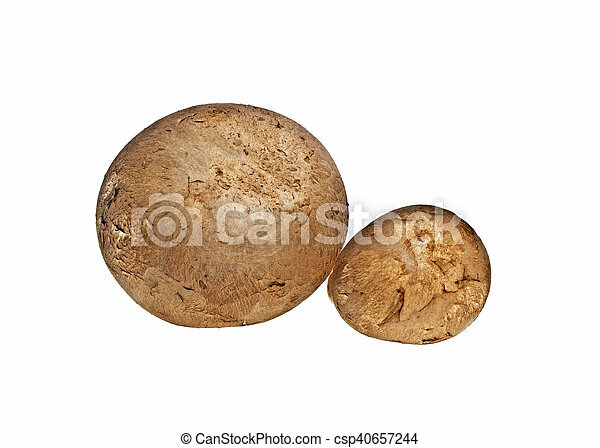 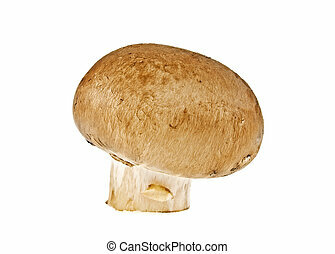 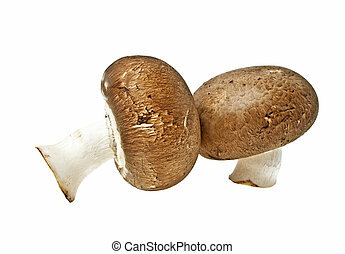 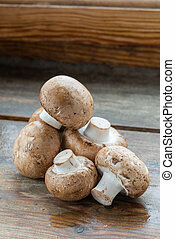 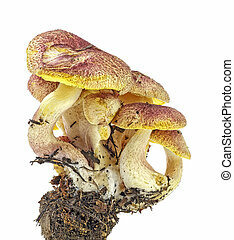 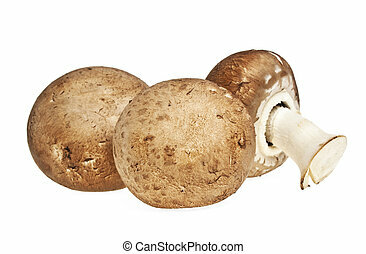 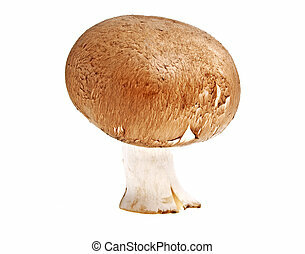 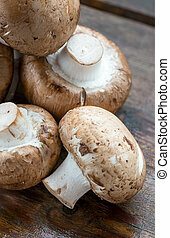 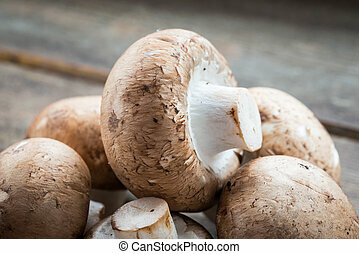 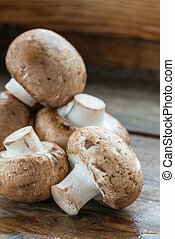 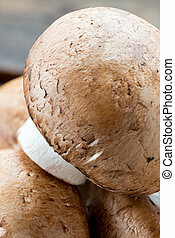 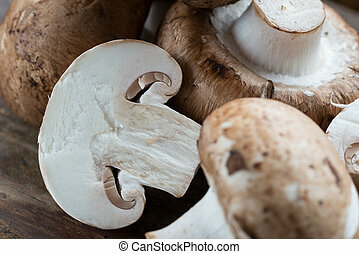 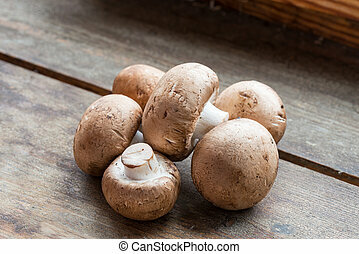 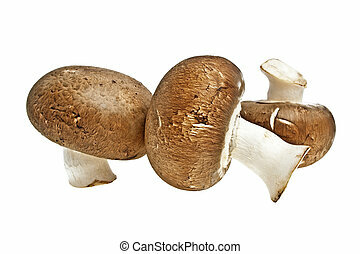 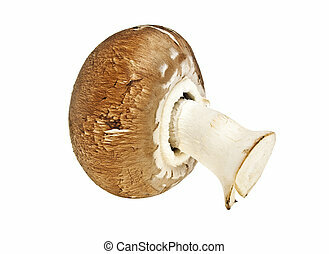 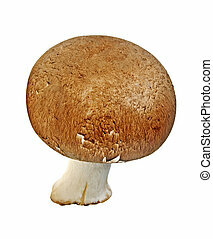 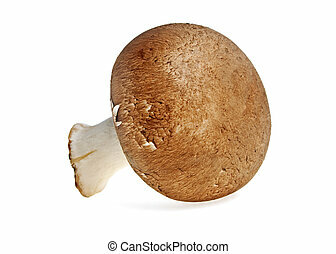 Champignon mushroom, brown variety, isolated on white background.